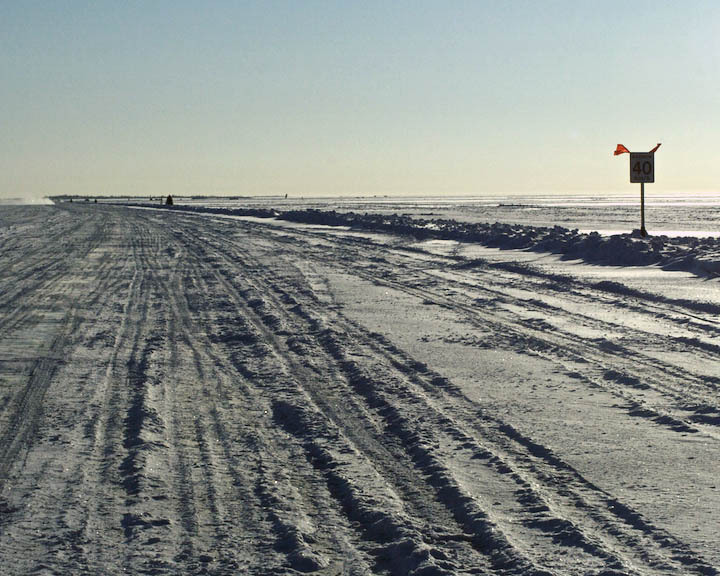 The ice road across the Northwest arm of Great Slave Lake outside Yellowknife. Gotta stay under 40 km/hr or you can go straight through the ice! This entry was posted in Steve Sharam and tagged ice, northern, photography, road, snow. Bookmark the permalink.